These magazines are replicas of the real steel Lancer L5 Advanced War fighter Magazines. They are made from polymer and textured to feel comfortable in the user’s hand. There are many benefits that the polymer construction of this magazine presents, first and foremost being the fact that they are so lightweight. 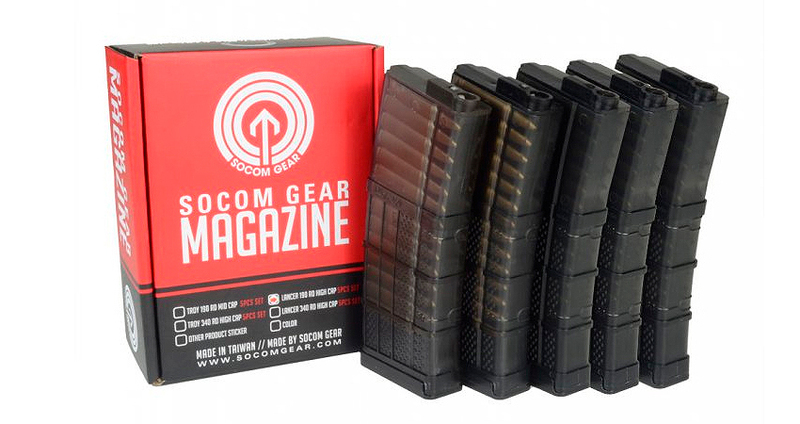 Each magazine holds 190 rounds and is recommended for use most AEG such as A&K, Echo 1, JG, Tokyo Marui, Classic Army, VFC, ICS, G&G, and G&P M4/M16 series AEG's.